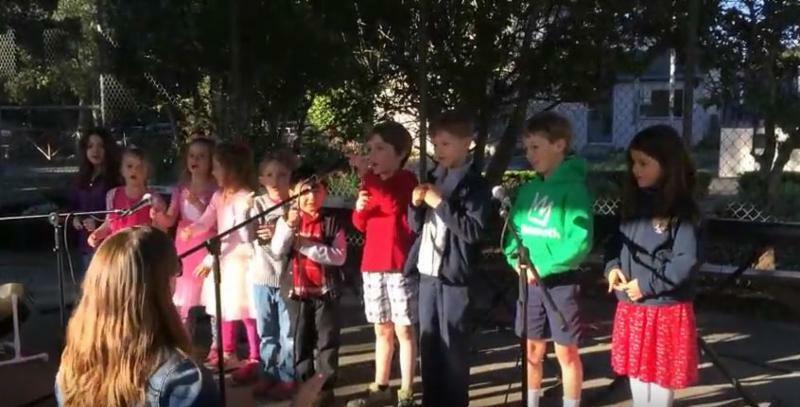 Watch Lower School students sing their hearts out here . 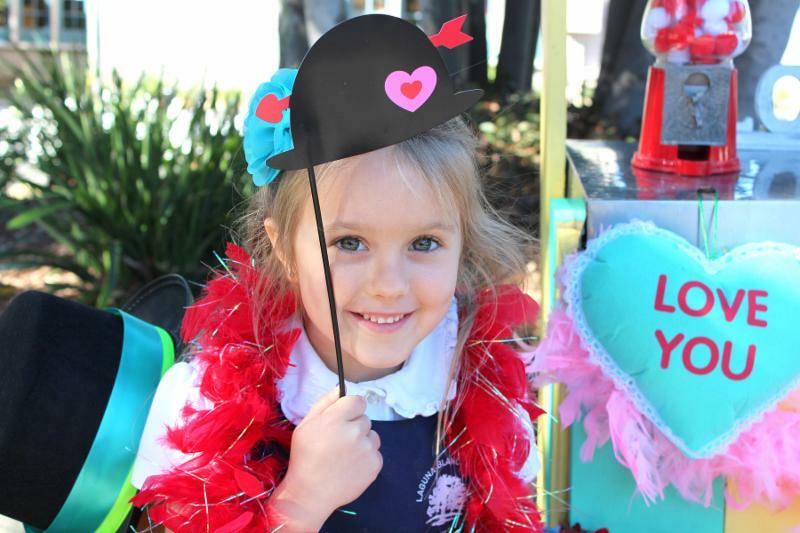 View Valentine photo booth pictures of kindergarten and second grade students here. View Valentine photos from the Hope Ranch campus here. 3 WAYS YOU CAN HELP! 1. More great items are still needed… We are looking for generous donations of items such as: sporting event tickets, concert tickets, vacation destinations (near and far), cabins & condos, fine wines, rounds of golf, behind the scenes experiences, jewelry, art, and anything special. Donations forms are online. Please deliver donations to Braun House or the main office on either campus. With every donation that is brought in, your name will be entered for a chance to win a guest room on the night of the event at the Bacara Resort and Spa. There is no limit to the number of times your name can be entered. The deadline for submissions is Tuesday, February 21 at 5pm. The drawing for the hotel room will take place at our committee meeting on February 22 at 8:30AM. 2. Underwriters make this event so magical... The generosity shown by underwriters ensures every dollar raised at the benefit goes directly to helping the school provide the best education possible for our students. Deadline for event sponsors to be included in the event program is February 27. 3. Make plans to attend the event on Saturday, March 11! Invitations are in the mail, or tickets are available online. Formal Spanish-inspired attire is encouraged. If you have any questions, please contact event co-chairs Belle and Bert Regeer or the development office. Former Laguna Blanca volleyball standout and U.S. National Team member Chris Tamas '99 (and little brother of LBS Third Grade Teacher Brooke Green '97) has been named the women's volleyball coach at the University of Illinois. Tamas replaces Kevin Hambly, who accepted the head coaching job at Stanford. "As expected, our coaching opportunity attracted widespread interest from coaches across the country, including many sitting head coaches," Illinois Director of Athletics Josh Whitman said. "Chris stood out immediately. His breadth of experience as both a player and coach, his commitment to the personal growth and development of our student-athletes, his work ethic, and his fierce competitiveness are compelling. He has learned from some of the best coaches in the game, both collegiately and internationally, and we are excited for him to make his mark on Illinois volleyball." 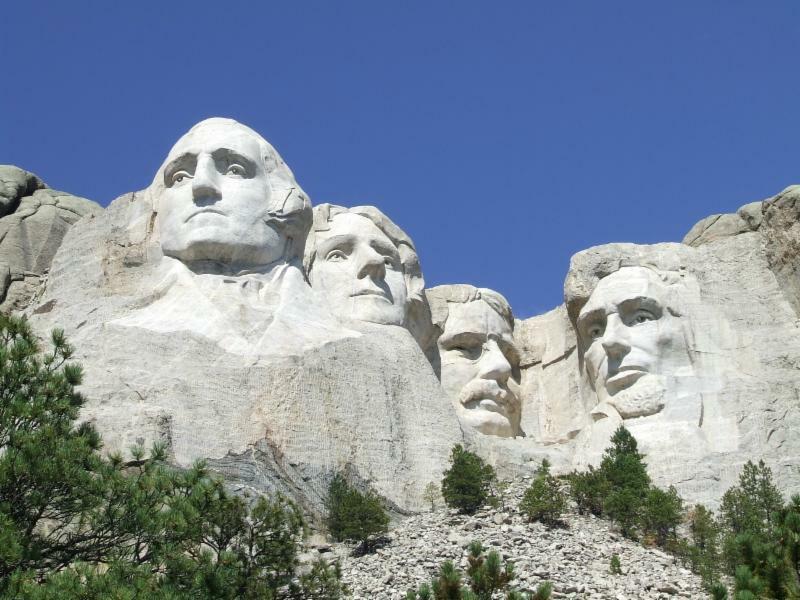 To continue reading about this outstanding achievement, click here. 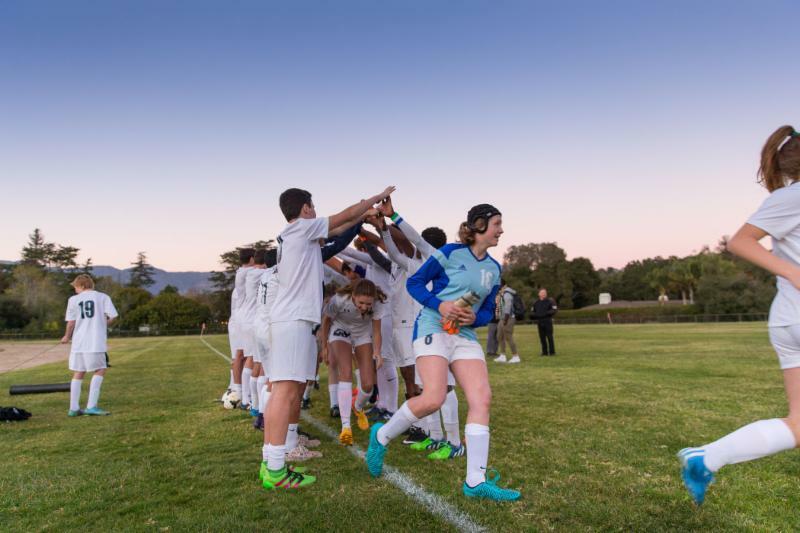 Congratulations to all three Upper School Varsity teams--boys basketball, girls soccer, and boys soccer--for qualifying for CIF Playoffs! The girls won their first round 5-1 against Desert Christian of Lancaster and will advance to the second round of CIF play. Click to see Alex Koke '19 score the fourth goal of the game. Boys Soccer plays at San Marcos High School on Friday, 2/17 at 2pm, pending weather conditions. GO OWLS! Last weekend, a select group of juniors from the Santa Barbara area participated in the Global Leadership Connection (GLC) Scholarship Program. GLC, along with UCSB and Westmont College, brings together youth leaders dedicated to ethical conduct, academic excellence, and compassionate service. Their mission is to inspire student leaders to develop spiritually, morally, and socially. All participants received recognition and a certificate. Congratulations to juniors Anton Homeniuk and Kathryn Norris who were honored with Ambassador Awards. 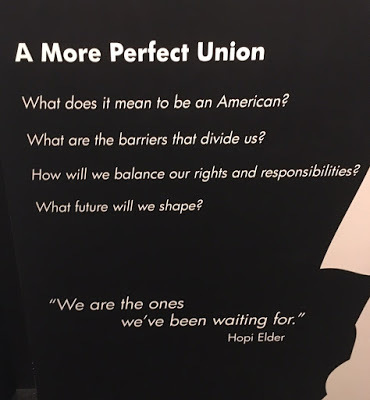 Last Friday, eighth graders traveled with Mrs. Alldredge to Los Angeles where they committed a large portion of their hearts, minds, and time at the Museum of Tolerance and Little Tokyo. They explored two essential questions: "What is justice?" and "How can I transform the world for the better?" Mrs. Alldredge recognizes that these eighth grade students are "an intelligent, talented, and passionate group. They were polite, inquisitive, heartfelt, and patient throughout this long and emotional day." She adds, "I'm very proud of them, and trust that our future is in good hands." Read more about this powerful learning experience here. Earlier this month, the Sock Institute--a cross-grade level outreach club dedicated to service learning projects--and Laguna Experiential Learning Coordinator and English teacher Ms. Tidey volunteered to survey the county's homeless with a "point in time" count, a "homeless census" which occurs every two years. Laguna volunteers were assigned to interview and collect information from the homeless community at Alameda Park, using a smartphone app to gather data. 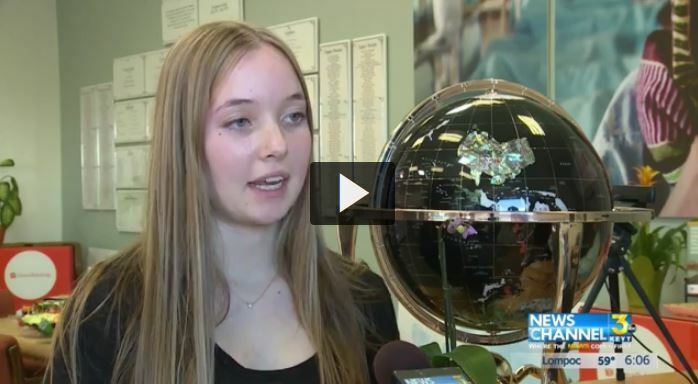 "How meaningful it was to be all together, and to have the chance to watch students extend themselves with humility and grace," Ms. Tidey explains. 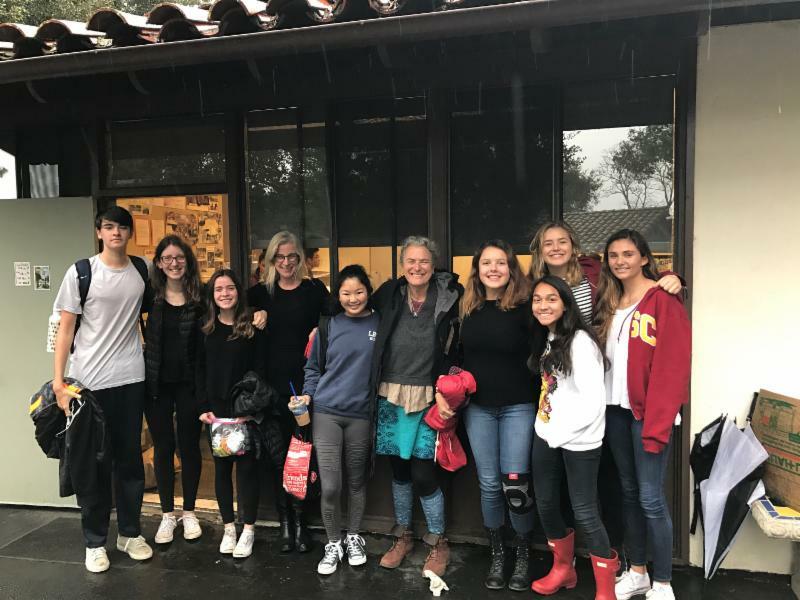 Last Friday, club members also met at lunch with Dr. Mimi Doohan, M.D., Ph.D. and founder of Doctors Without Walls--to debrief on Laguna's participation in the SB PIT count. The club also discussed partnering with Kiki Tolles, President of the Global Fund for Women Club, to provide support to the Women's Free Homeless Clinic at Transition House, which was also founded by Dr. Doohan. This evening (2/16), the Sock Club is headed to Alameda Park again, this time with offerings of boots and walking shoes for those in need. Laguna is full of g ratitude for the Sock Institute's service to the community. Students from Dos Pueblos, Bishop Diego, Laguna Blanca, and Santa Barbara High Schools met at Direct Relief headquarters in Santa Barbara last Sunday to kick-off the 2017 Flowers for Relief fundraiser. They signed letters to send to potential donors. The fundraiser asks for a minimum donation of $120 in exchange for the delivery of fresh flowers every week for the month of April with all p roceeds going to Direct Relief. The fundraiser is organized by high school students involved in Youth for Direct Relief clubs. The clubs meet each week at school to talk about ways to raise money and volunteer for the non-profit. Now in its 10th year, the student-led initiative has raised $250,000. At the kickoff, students watched a video message from a nurse in Haiti, whose position was funded by a portion of the money they raised. 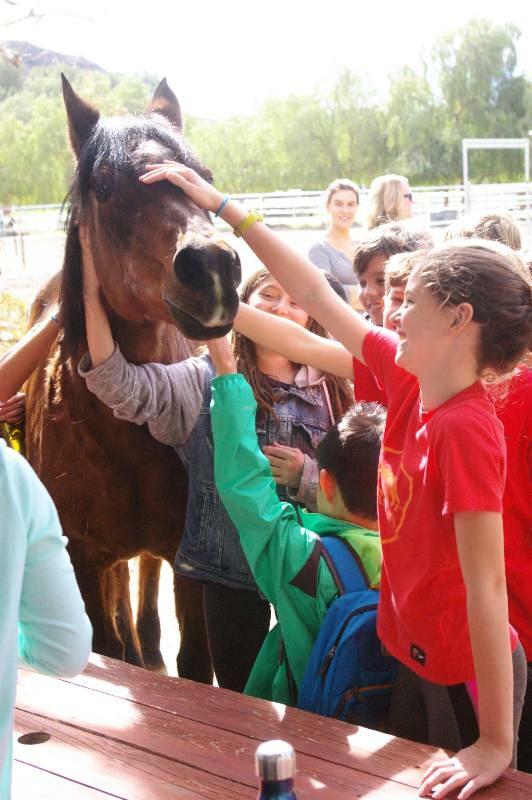 Last week, Laguna fifth graders traveled with teachers Ms. Sonbudtasan and Ms. Valentine to The Gentle Barn in Santa Clarita. A sanctuary for abused and neglected animals, the farm rehabilitates these creatures, who then provide hope and inspiration for children with similar stories. Students learned about the value of rescuing animals while hugging cows, feeding horses, and interacting with goats, turkeys, pigs, chickens, and more! Click here to view photos from the heartwarming field trip. G-O-O-D L-U-C-K TO LAGUNA STUDENTS IN UPCOMING SPELLING BEE! Congratulations and best of luck to Middle School students (L to R) Nicole Levine '24, Katherine Ball '23, Emily Donelan '21, and Conley Ball '21 who will represent the Owls at the County Spelling Bee on February 22. Fifth and sixth graders will compete in the morning, and seventh and eighth graders will compete in the afternoon. 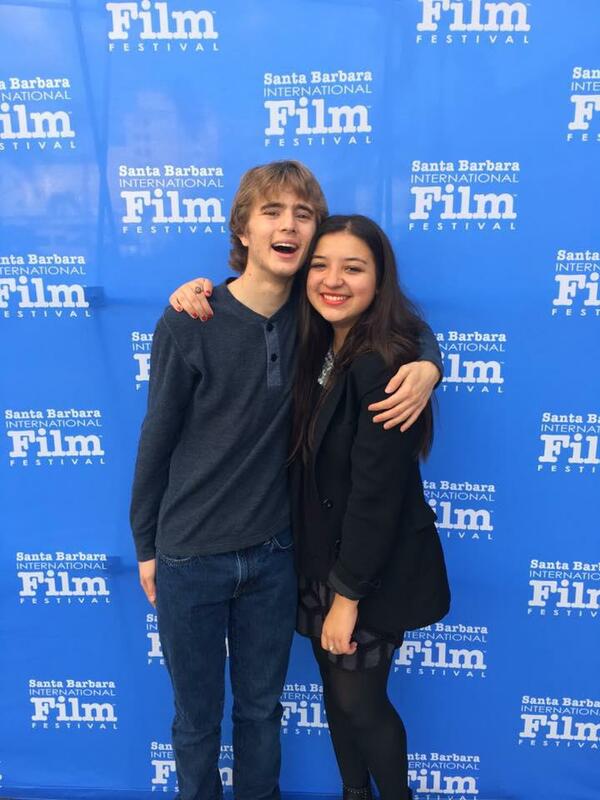 Congratulations to Camila Lemere '18 and her talented team on the premier of the short film, When the Lights Go Out, which screened at the Santa Barbara International Film Festival 10-10-10 competition last weekend. We are so proud of the dedication, collaborative spirit, and artistry that you brought to this creative project. 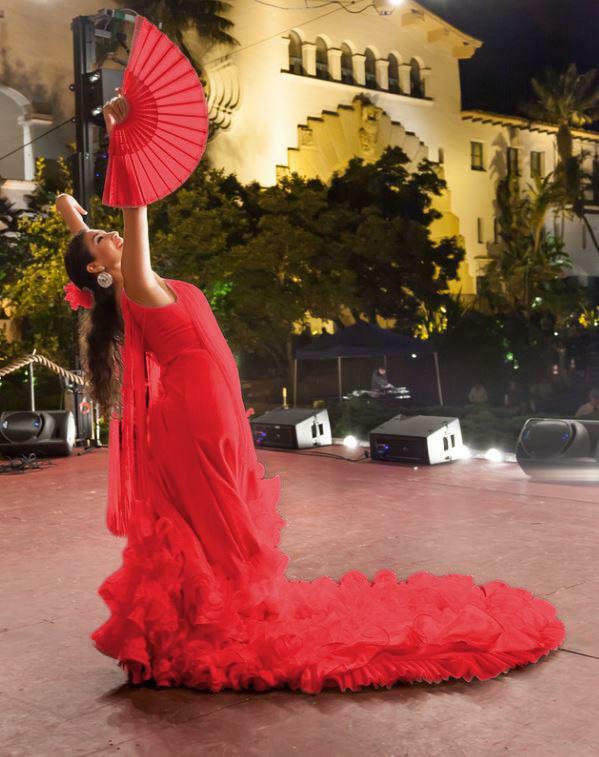 Laguna alumna and former Spirit of Fiesta Erika Martin del Campo '07 will generously provide two sessions of flamenco lessons under the LS Pavilion on Wednesday, March 1 and Wednesday, March 8. Both sessions will run from 4-5pm. 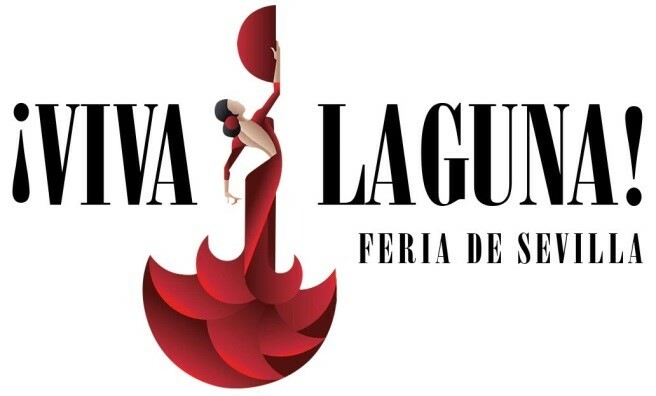 Parents, faculty, and staff are all invited to learn this style of dance before our spring benefit--iViva Laguna! Feria de Sevilla. Please pre-register for lessons at spring benefit@lagunablanca.org. Laguna parent and artist Masha Keating recently shared her talents with our Lower School students and co-created art pieces for our spring benefit silent auction. For the student art fundraiser, Masha created a combination of real and digital paintings, applying her digital techniques to photos of existing paintings made by the students in Grades EK-4. Each child created a Rorschach print by spilling the paint on paper and folding the paper in two. “It was so exciting for them to unfold the paper and discover what surprising image awaited inside,” explains Masha. Masha digitally combined the images from each class into one 24x24 inch composition per grade, then added some digital manipulation and painting of her own. The end results will be up for bid at the spring benefit on March 11. 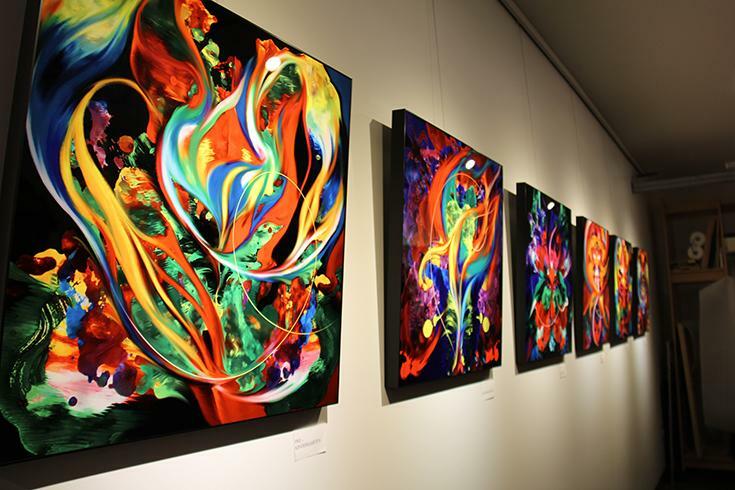 In addition to the student pieces, Masha is donating one of her own works of art—Sky Dance, digital painting on metal, 18x36 inches—to be auctioned at the event. 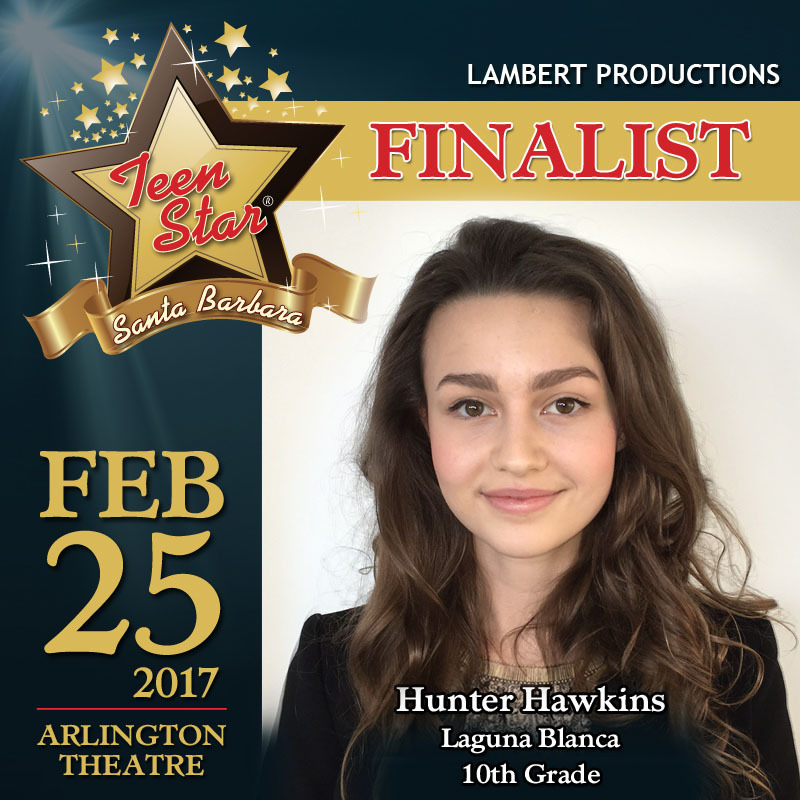 Teen Star , a local program that supports youth in the performing arts in Santa Barbara, will feature finalist and LBS student Hunter Hawkins '19 in the 2017 Showcase at the Arlington Theatre on February 25. Not a stranger to the competition, this is Hawkins second run for the crown. Similar to last year, she will have the opportunity to showcase her talent before a live, supportive audience and celebrity judges from the music industry. The audience will vote electronically to help determine the Teen Star 2017 winner. Tickets are available online. Let's show Hunter our support! 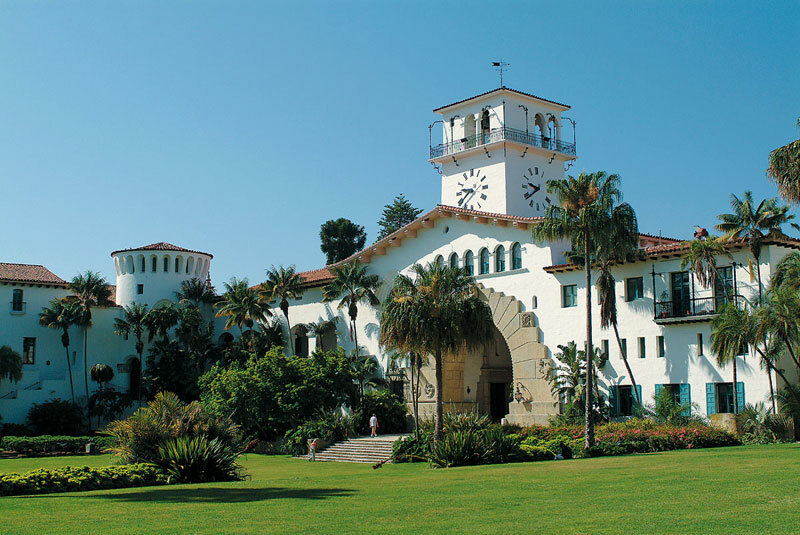 After five months of legal preparation and working with local attorneys, Laguna Blanca’s Mock Trial Team--a student club open to grades 9-12--will head to the historic Santa Barbara Courthouse on Saturday, February 25 for the annual Santa Barbara County Mock Trial competition. After a year hiatus, the program is back on track and poised for a competitive trial. Led by Jessica Kocian and attorney coaches Dawn O’Donnell, Matt Conley, and Annie Hayes, the students will serve as defenders, prosecutors, and witnesses in a trial about human trafficking and false imprisonment. “It’s been rewarding to get to know our students while being able to put my legal education and experience to good use. I can’t wait to see their hard work pay off and unfold in the courtroom,” says Kocian. Did you know that access to clean water is the first step to breaking the cycle of poverty? Did you know that one of our alums continued working on his Laguna Blanca safe water senior project throughout college and now operates a non-profit dedicated to solving this crisis? Did you know that on Monday, February 27, the Laguna Blanca Stage Band and Hands4Others will be hosting a benefit concert to raise money to provide clean, safe water to people living in remote villages around the world? 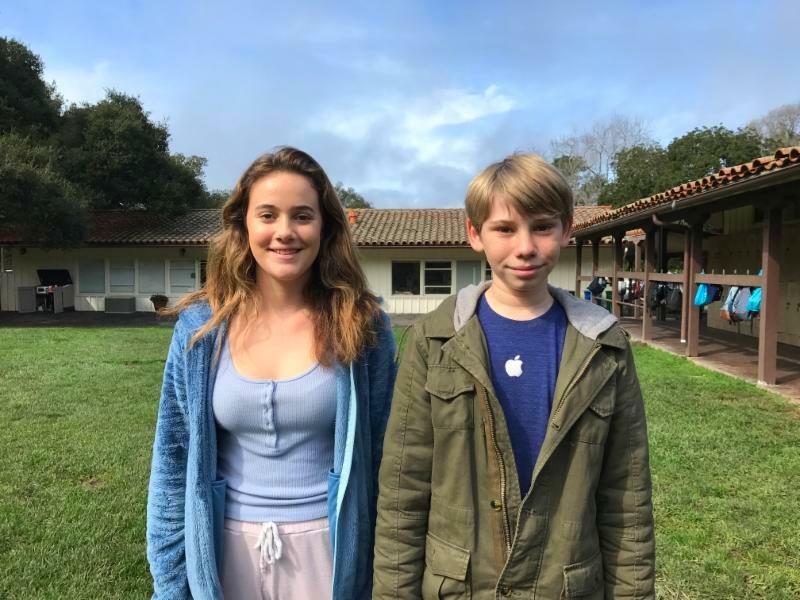 Laguna's own Maxx Christal '19, H4O Club President, and alum Spencer Dusebout '11 have teamed up with Music Instructor Jillian Honorof and Math Instructor Paul Chiment to achieve the goal of raising enough money to build one complete water treatment facility for one village. Please mark your calendars for the evening of Monday, February 27. The show begins at 6:00, but arrive at 5:30 to be sure to get a seat. Cover charge is $5 for students and $10 for adults with ALL proceeds going to Hands4Others. SOhO serves dinner, or you can just grab a refreshment. If you would like dinner, you should make a reservation (962-7776). Thank you to all who participated in the H40 Bake Sale last week that raised $370 for the benefit concert! 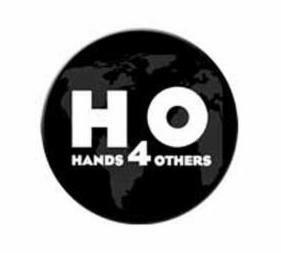 For more information, visit H4O or SOhO. Laguna Blanca’s Parents’ Auxiliary always needs fresh faces and enthusiasm to complement the faithful and fabulous parents who are already involved. If you see an event or program that you’d like to help with—even just a little—please contact Stacey Fell, PA Secretary, or come to any Auxiliary meeting for information. The next and last meeting of this year is on May 9 from 11:45AM-1PM in the Middle School Rugg Room. To learn more about volunteer opportunities for the 2017-18 school year, please CLICK HERE and identify a position that interests you, or tell us about someone you think would be a great addition to the team. Short job descriptions are included on the second page of the Nominating Form. FORMS ARE DUE FEBRUARY 28. Thank you for helping to make Laguna Blanca an even better place for our students! This spring, Laguna will host Revolution Prep Practice Exams for the ACT and SAT, in order to provide opportunities for students to practice taking full-length, proctored practice tests in preparation for the official exams. The exams will take place in Laguna's library and are free. Upon enrollment, Academic Advisor Jayme Wakefield of Revolution Prep will schedule a score report review at a time convenient for you. During the session, Jayme will break down your child’s score to understand areas of strength and weakness and develop a custom preparation plan. Click here for more information about the program and registration. Contact Academic Advisor Jayme Wakefield at (424) 214-2390 or jayme.wakefield@revolutionprep.com for additional details. PLEASE NOTE DATE CHANGE: The Parents' Auxiliary Gathering / Lunch & Learn has been moved from April 25 to May 9. Please mark your calendar so you can join us! Boys Team Charity, a national nonprofit organization dedicated to supporting boys’ and family philanthropy, is coming to Santa Barbara in June 2017. 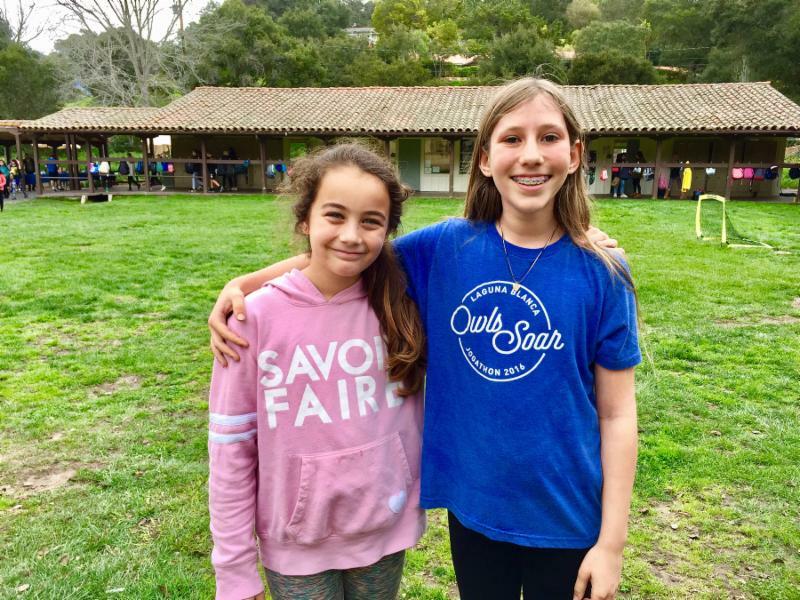 The local chapter will provide tween/teen boys entering grades seven through 12 the opportunity to volunteer at various nonprofits throughout Santa Barbara, with team-building and bonding activities by grade level, and personal growth and development presentations. The volunteer opportunities involve boys and their parents, which allows families to cultivate a sense of social responsibility and spirit of giving with their sons. Each member commits to volunteering between 15-25 hours per year and attending several general and grade-specific gatherings and activities per year. The model is very similar to National Charity League (supporting girls and their moms) which has been an active presence in Santa Barbara and Laguna Blanca for many years. For additional information or to express interest, please visit: https://www.surveymonkey.com/r/VRL3VTJ or email boysteam.sb@gmail.com.